Public sector employment has grown significantly in recent years across the UK and has been the key driver of the economy’s expansion. But proposals announced by the government to make £83bn worth of cuts in public sector spending are forecast to lead to the loss of up to 600,000 public sector jobs across the UK over the next 6 years, according to a study1 by Oxford Economics. 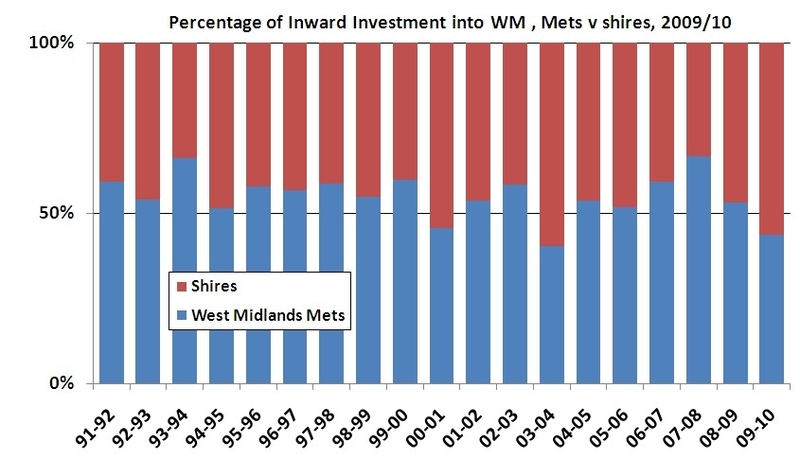 The West Midlands economy is particularly vulnerable to the impact of the cuts. Between 1998 and 2008 (latest available figures), the West Midlands saw the most significant increase in dependence on public sector employment in the country2. The share of jobs accounted for by the public sector increased from 22% in 1998 to 27% in 2008, a rise of 5 percentage points, bringing total public sector employment to some 637,000. We forecast that between 2010 and 2016 there will be a net loss of nearly 50,000 jobs across the West Midlands and, based on the ratio of the number of private sector jobs dependent on public sector spending and the associated supply chain nationally, a further 310,000 jobs are at risk at private sector firms directly or indirectly reliant on public sector spending3. Recently, I interviewed Kim White, a member of our Economy & Labour Force topic group, about his use of the Regional Skills Assessment to direct the work of his organisation. In October 2008, Kim, Chief Executive of Intelligent Career Development Limited (also known as i-CD) and was given the task by the Vice Chancellor of Wolverhampton University to set up a company specialising in Continuing Professional and Personal Development (CPPD). i-CD is the result of a project conducted to identify the most effective way for the University to provide support to businesses in the area of CPPD. i-CD specifically works to develop courses and schedules which students and employers, in the workplace, find useful and relevant. Kim used a variety of sources to help inform his research into the needs of employers and students, and to identify potential gaps within the CPPD marketplace. The Regional Skills Assessment 2007 (pdf, 714kb), published by the West Midlands Regional Observatory, was one such source. Recent data released by the Department for Children, Schools and Families shows that learner participation in the new 14–19 Diplomas in the West Midlands is focused on the Creative & Media course so far. The 14–19 Diploma is a new qualification which takes two years to complete. Young people can do it at school or college and it combines practical experience with class learning, and is focused on a specific vocational area. This guest post was contributed by Christopher Styche from the Black Country Observatory. Geographical Information Systems (GIS) were used as a tool for analysis in a project looking at brownfield land across the Black Country during the end of 2006–2007. The purpose of the project was to inform policy makers involved with the implementation plans for the Black Country and emerging core strategy. There was a strong partnership approach to this work with representatives from all four local authorities (Dudley, Sandwell, Walsall and Wolverhampton), as well as the Homes and Community Agency and Advantage West Midlands. This post describes the project step-by-step and the role of GIS within the project.